Want more practice? Pan more dirt! Reuse this dirt over and over again to get good at hand panning, and/or to test new equipment. 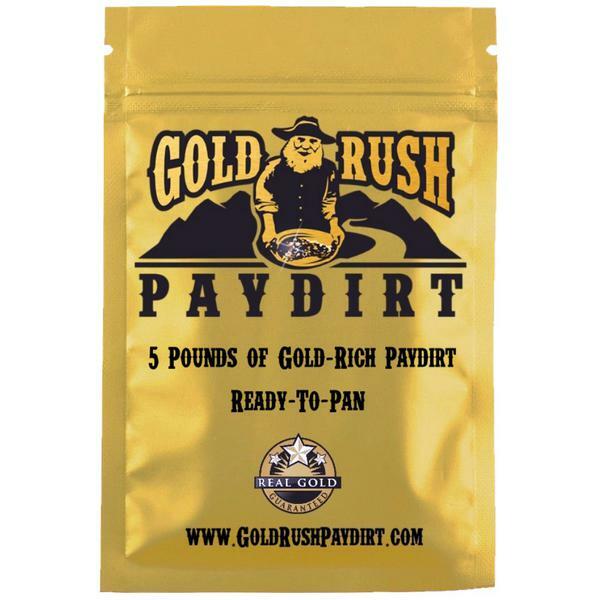 This 5 pound bag of paydirt hails from the Copper River in Alaska. Gold is found throughout the Copper River, and most abundantly in Slope Creek, Mineral ​Creek, and Eagle Creek. Complete panning instructions included. Shipped via Priority Mail. Want more than one bag? Add additional bags to your order by entering the quantity you desire.